With it being officially Spring and all, do any of ya'll have florals on the brain the way I do? I'm talking within your fashion choices, home decor and actual flowers! I love nothing more than dressing up pretty cheap grocery store flowers in a ginger jar or snagging flowers with Miss A out on our walks and decorating every tiny bud vase on our kitchen windowsill. (Lately she's been all about picking her Mama flowers and I hope it never ends ya'll!) 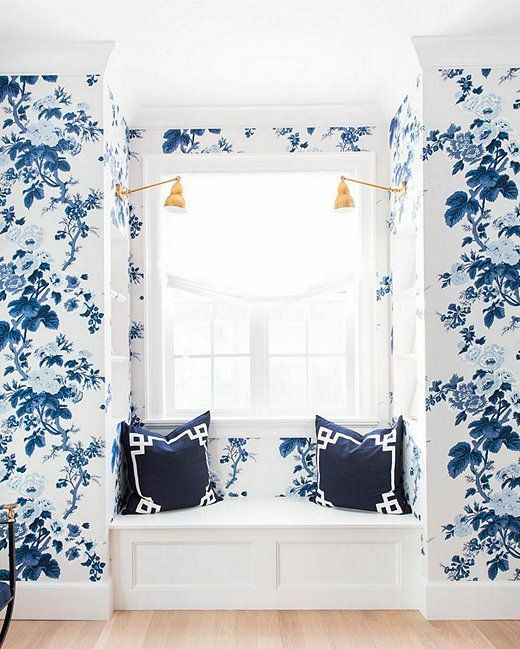 I'm even loving the bold, floral wallpaper choices I've been pinning lately despite how much my hubby shakes his head in disapproval. With all of this being said, I'm dedicating today's post to all things floral. Here are some of my favorite pins lately. What are your favorite Spring trends currently? 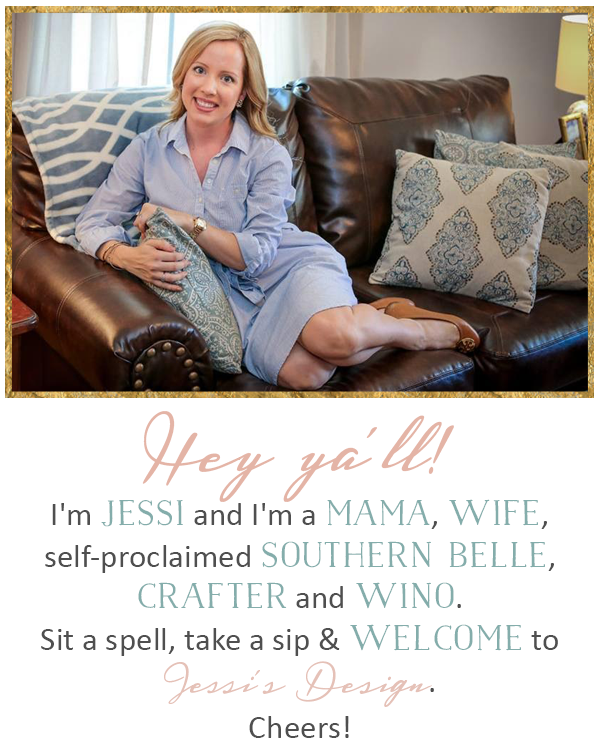 I'd love to hear your go-to's for decor, fashion and even crafts! 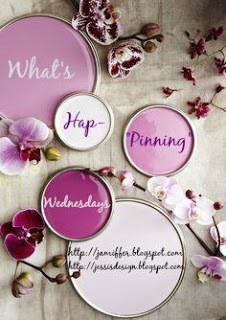 Grab our button and join in below for What's Hap-'Pinning' Wednesday! I'll pay someone to find this skirt for me!! I love so many of these! Especially that long sleeved floral dress--so pretty! 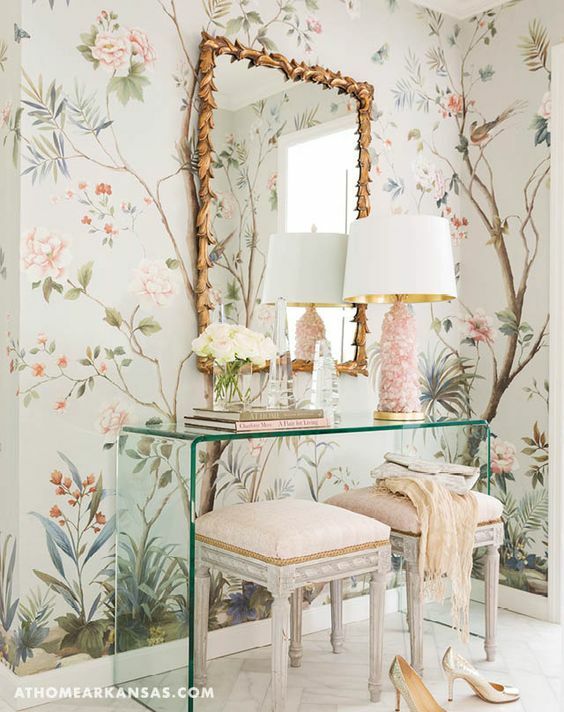 Loving all of the florals! Those shoes and that long-sleeved dress is so pretty! Love all the florals. I would die for that blue and white window seat. Beautiful photos! I really do like the floral look for the Spring. I just got a dress at Old Navy over the weekend with lots of flowers. So much pretty! I love that maxi dress and those flats! 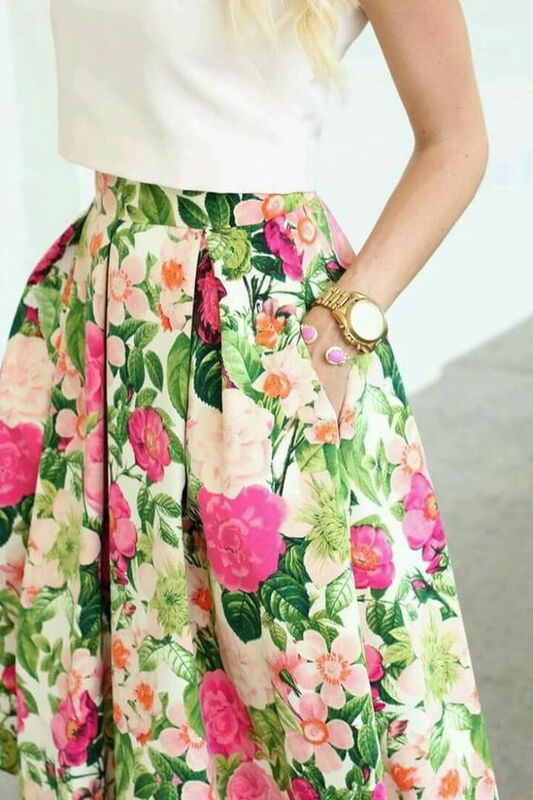 The first floral skirt you posted I NEED and want sooo badly. Love all florals right now. All of those florals are gorgeous! I am loving floral prints this season. YES!! 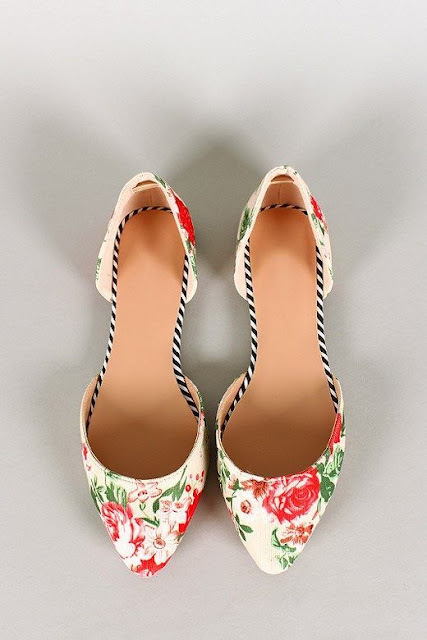 Florals just scream spring to me. 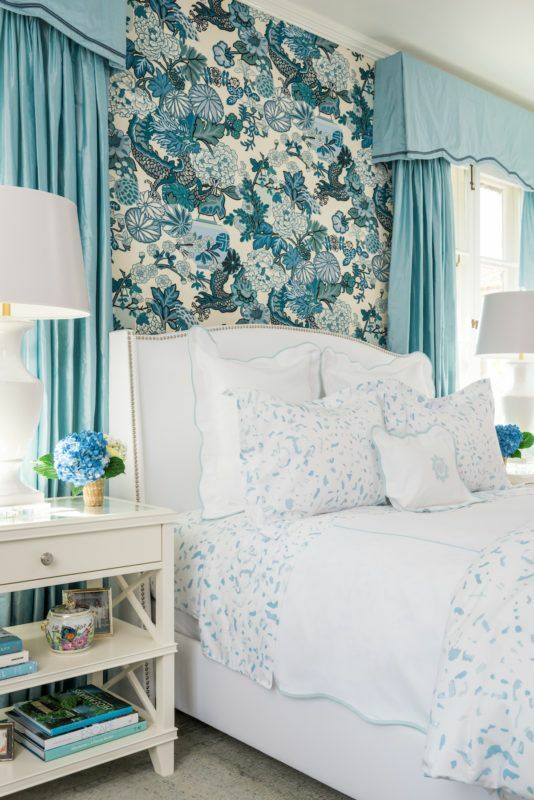 I love all the fun floral wallpaper and would love to do an accent wall in my bedroom. 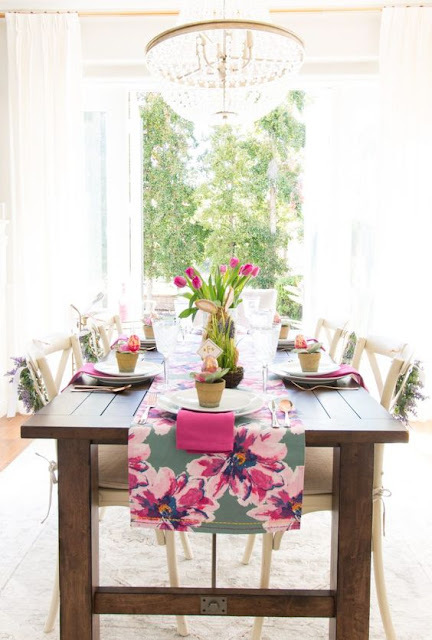 The floral table runner is awesome, too! Aaaallll the florals!! Yes yes yes! I especially love that long sleeve maxi... it's sold out, though. Waaaahhhh! Obsessed with all these flowers. Can I have all of them? Like really, every single one of them? (And can I also look that great and relaxed int the floral swimsuit? nah? ok, fine.) Happy Wednesday! 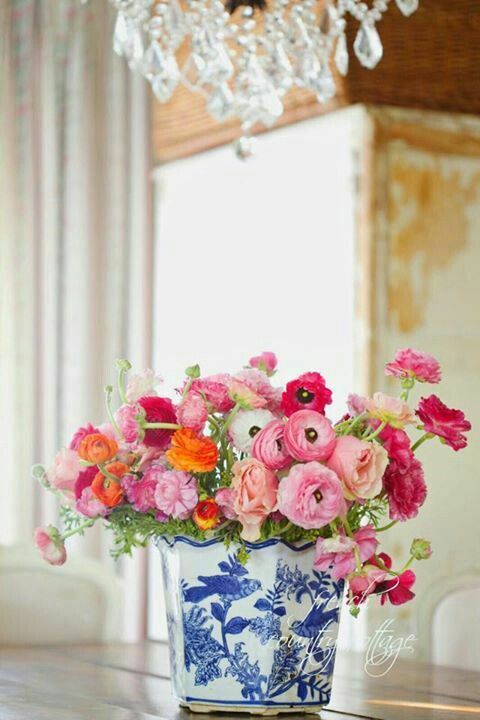 Oh I just love all of these, I am loving the literal spring flowers as well! That Maxi dress is just gorgeous! 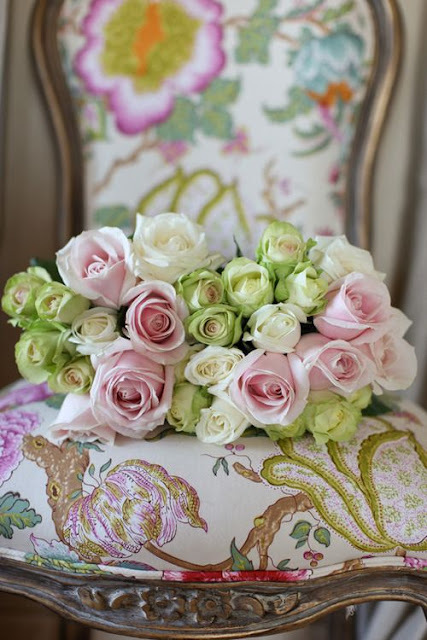 I have been OBSESSING over florals lately! I have been wanting to find the perfect floral dress for summer and have not had any luck. Love all of these! Oh this post makes me so happy! That swimsuit is amazing! And I'm all about fresh flowers too. Mostly from my own garden, but I'm not against a grocery store purchase either! i absolutely adore florals in clothes.. on the rack. as soon as i put them on i feel weird haha. but that maxi dress is GORGEOUS. and that skirt. yes please. i'd pay someone to find it too haha. I'm all about the florals right now! Love everything you found! Oh my goodness!! I can't stop swooning!! What a gorgeous post of fabulousness! Thanks for adding more pretty to my day ;) xo!